A reggae record shop in OSAKA JAPAN, CORNER STONE MUSIC. we mainly deal with vintage vinyl of SKA, ROCK STEADY, ROOTS ROCK to DANCEHALL. also NEW RECORDINGS from all over the world. New in : Vintage records - Roots Rock, Dancehall(Human/Digital), Lovers Rock, Calypso, Ska, Rock Steady, Early Reggae- Reissue. New Recordings. Reggae Goods. Selector's Item : Vintage Records, mainly DANCEHALL CLASSICS, OLD HITS to STANDARD TUNES on the floor. Discount : Vintage records in discount price. You can subscribe CORNER STONE MUSIC updates via RSS feed. We can ship records to all over the world. Vinyl, CD, Mix CD Release from Corner Stone Music. [ TD-002 ] Bello a.k.a A Hundred Birds / EQUALIZER feat. CHICA [ amanita Remix 7inch ] (TD-002)　NOW ON SALE!! This 7inch is a single cut from [amanita Remixes](2016 RastafeRecordz). 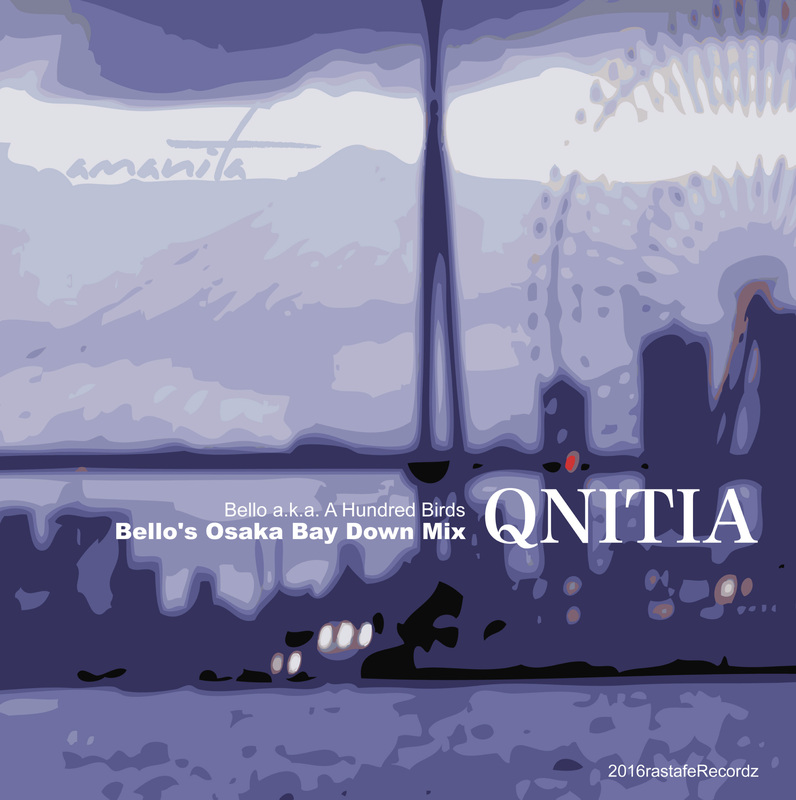 Side A : Bello a.k.a A Hundred Birds[ QNITIA (Osaka Bay Down Mix) ].Side AA: EQUALIZER feat. 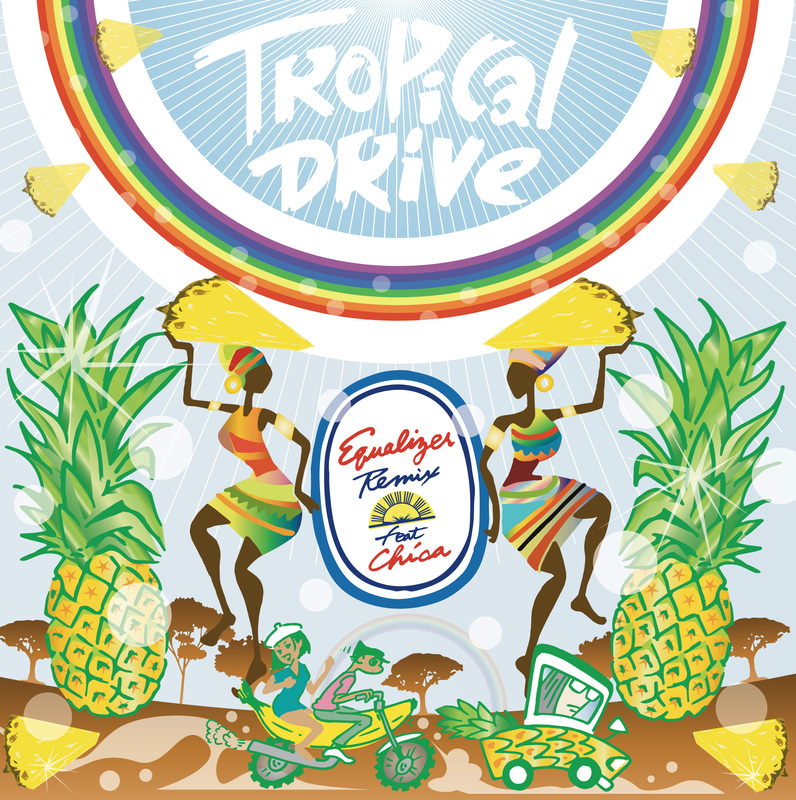 CHICA [ Tropical Drive ] . Original version of both tunes is [QNITIA] by amanita, a great Afro Beat band in Osaka Japan. [ TD-001 ] Tayo no kushami [ Yorimichi ]　ON SALE!! 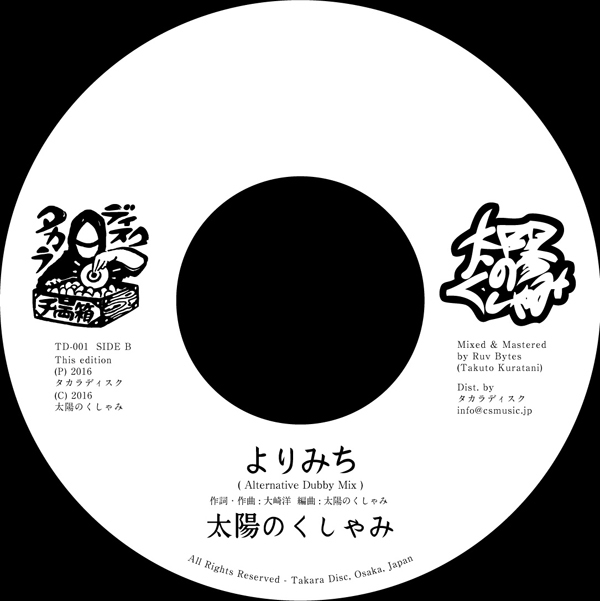 Corner Stone Music start a new label called "Takara Disc", The first 7inch is [ Yorimichi ] by "Taiyo no kushami", a japanese reggae rock band. This tune was recorded on 2013 and newly remixed by Ruv Bytes, a dub artist live in Osaka. 7inch and CD set. Only 300 copies limited press. 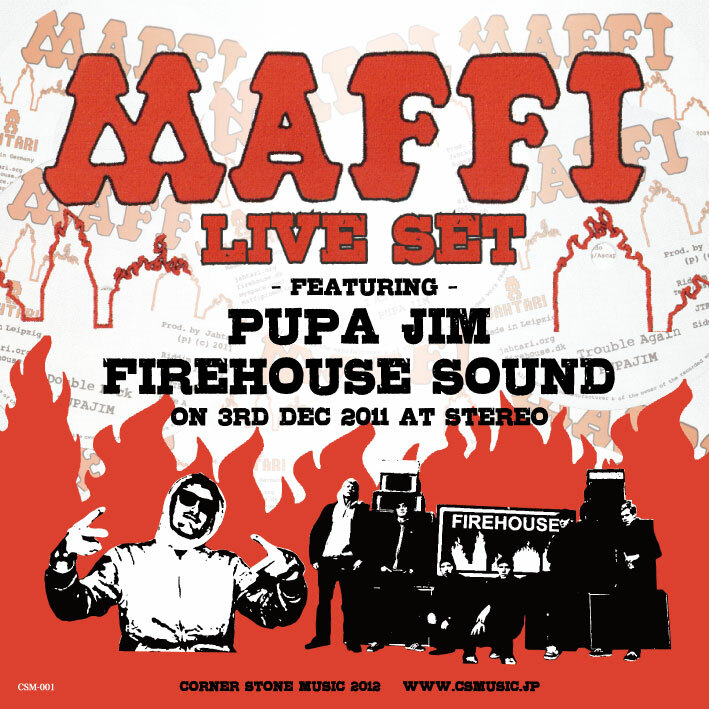 [ CSM-011CD/LP ] ON SALE!! Co-production of EM + Corner Stone Music. Shifting tectonic plates, as two island nations collide! London, UK resident Jackson Bailey aka TAPES, makes Jamaica-drenched lo-fi bass music, a forward-looking mix of dub, dancehall and electro roots channeled and filtered through old-school rhythm machines, synths, spring reverb and delay, recorded with glorious grit on cassette, sometimes in the red, tape hiss intact but somehow sounding bigger, better and beatier than it should, with a sweet analog patina. There's an aquatic feel here on this first full album from Bailey, a rich brew of deep and soulful sunny JA roots, hints of UK melancholy and Industrial smoke, even some icily funky NYC early Electro. With an old island soul and a new ear to the future, this first album from TAPES features six new tracks, plus ten other tracks previously issued on his own label and other labels, including Jahtari, in various formats, all gathered here, with new mixes, newly remastered. 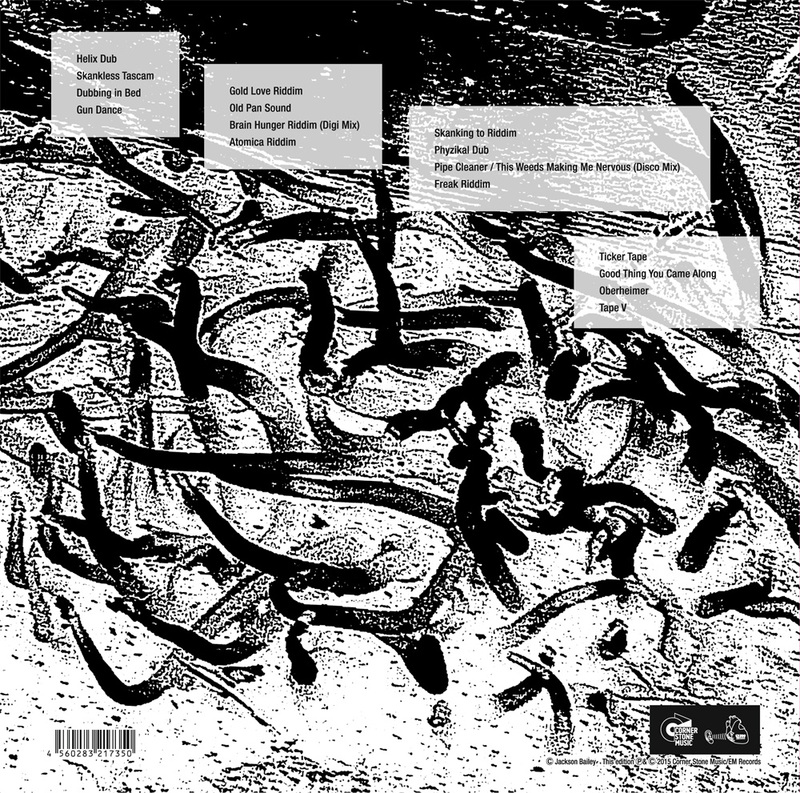 With a total running time of 43 minutes, these 16 tracks are available on CD and on double 45RPM 12" vinyl. UK, JA, NYC: all these letters, and more, spell TAPES! [ CSM-012 ] NOW ON SALE!! 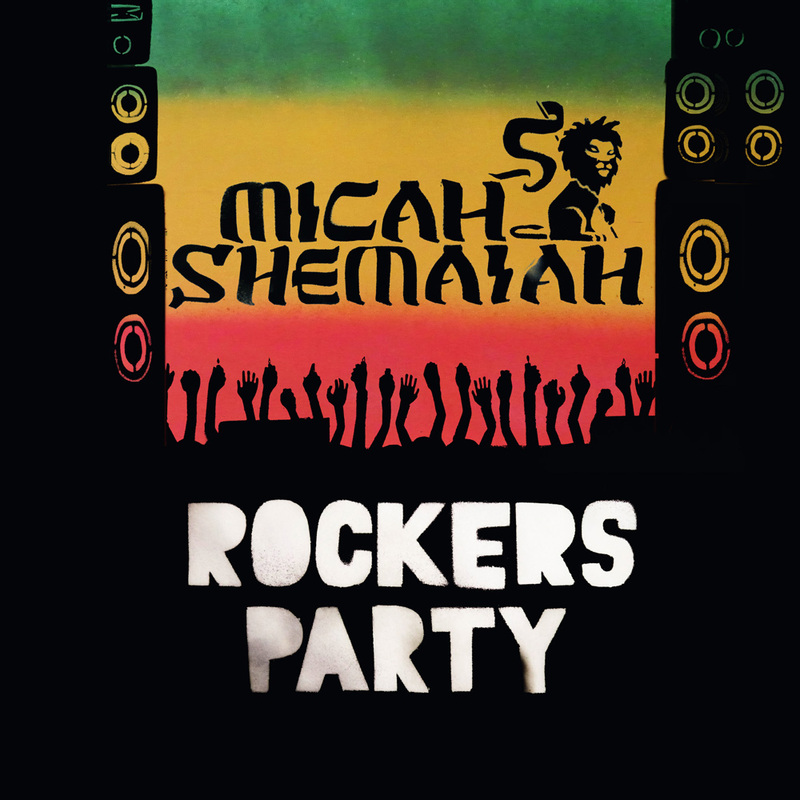 Our 6th new 7inch vinyl release from Corner Stone Music is "Rockers Party “ by the righteous rastaman Micha Shemaiah. His vocal is very spiritual & conscious, singing about the peaceful dance of Rockers. The track has only one cord with a simple rhythm pattern and the strong bass line that will shake the dance floor. 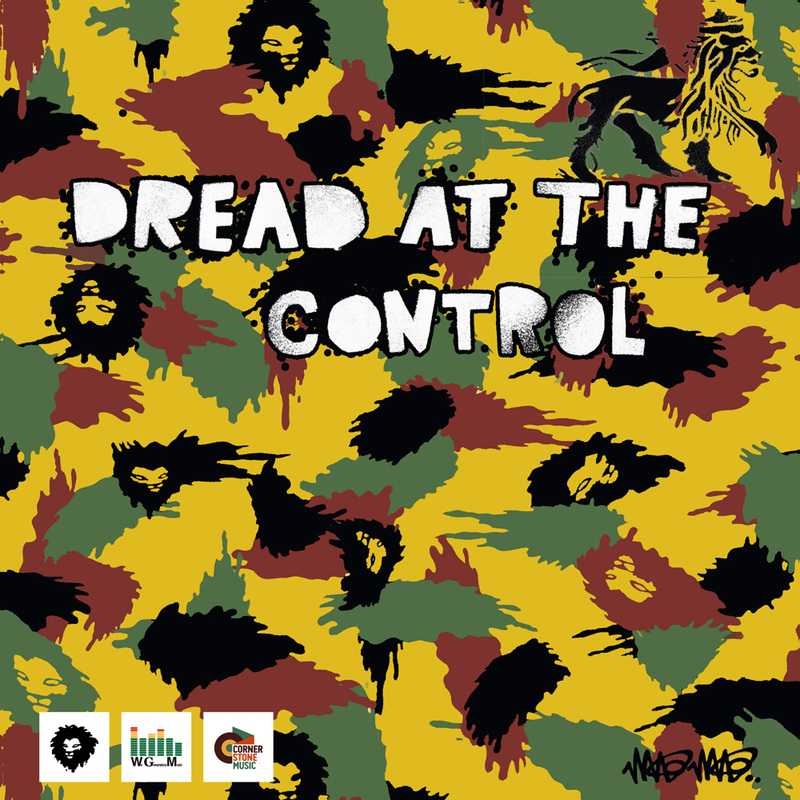 The B side “ Dread At The Control “ is Micha’s 2013 release. We remastered the track on the original pitch and both sides are the rockers anthem. Jacket artwork by the gifted Mau Mau. Vinyl release comes with lyrics card and only 500 sets limited. 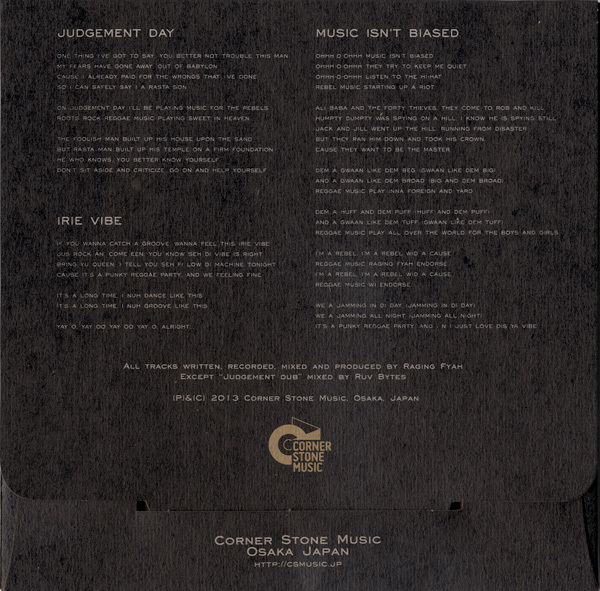 Another essential release from Corner Stone Music ! 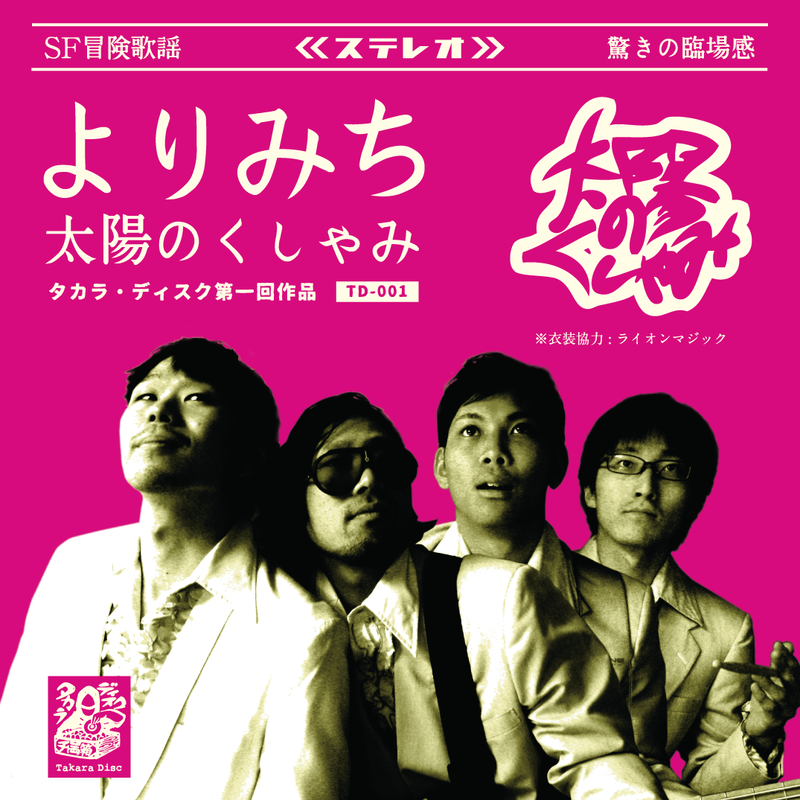 [ CSM-011CD/LP ] NOW ON SALE!! 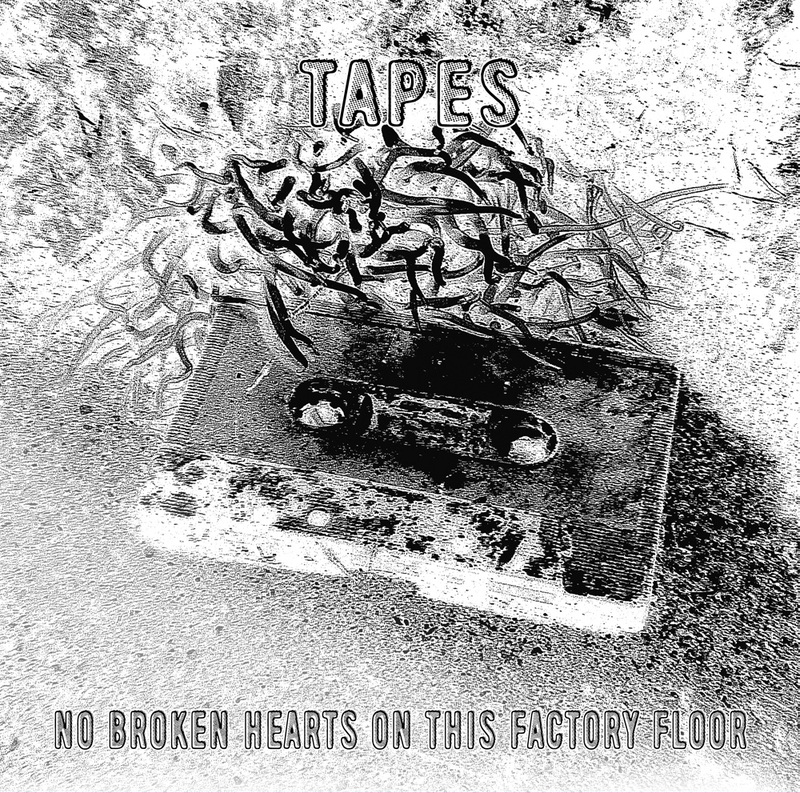 The first album from TAPES features six new tracks, plus ten other tracks previously issued on his own label and other labels, including Jahtari, with new mixes, newly remastered. 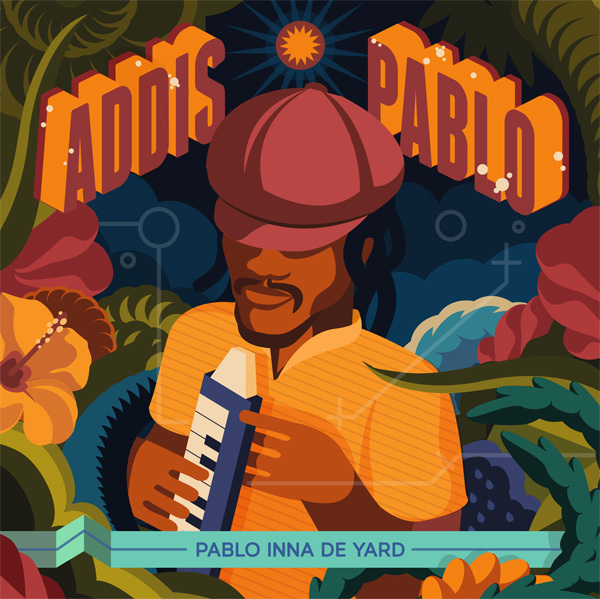 Jamaica-drenched lo-fi bass music, a forward-looking mix of dub, dancehall and electro roots channeled and filtered through old-school rhythm machines, synths, spring reverb and delay, recorded with glorious grit on cassette, with a sweet analog patina. [ CSM-009 ] NOW ON SALE!! 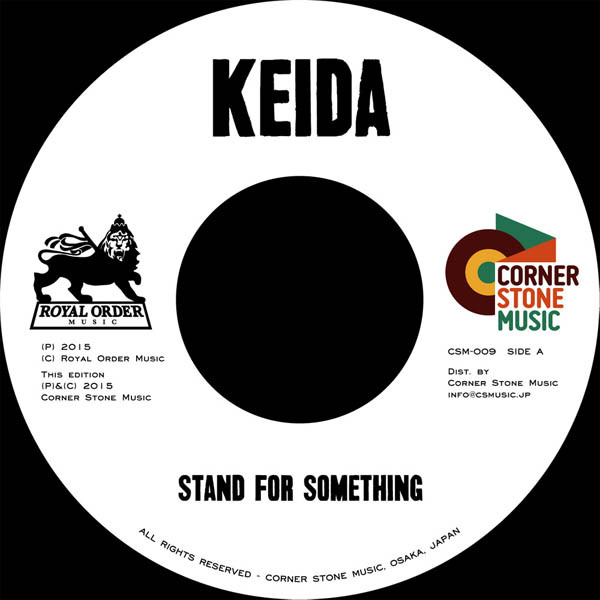 Our 5th new 7inch vinyl release from Corner Stone Music is on two 7inch sets which includes "Stand For Something” by the new sensational female sing-jay singer ‘Keida’ and "Melodica In The Dance" by Addis Pablo, the son of the great Augustus Pablo. 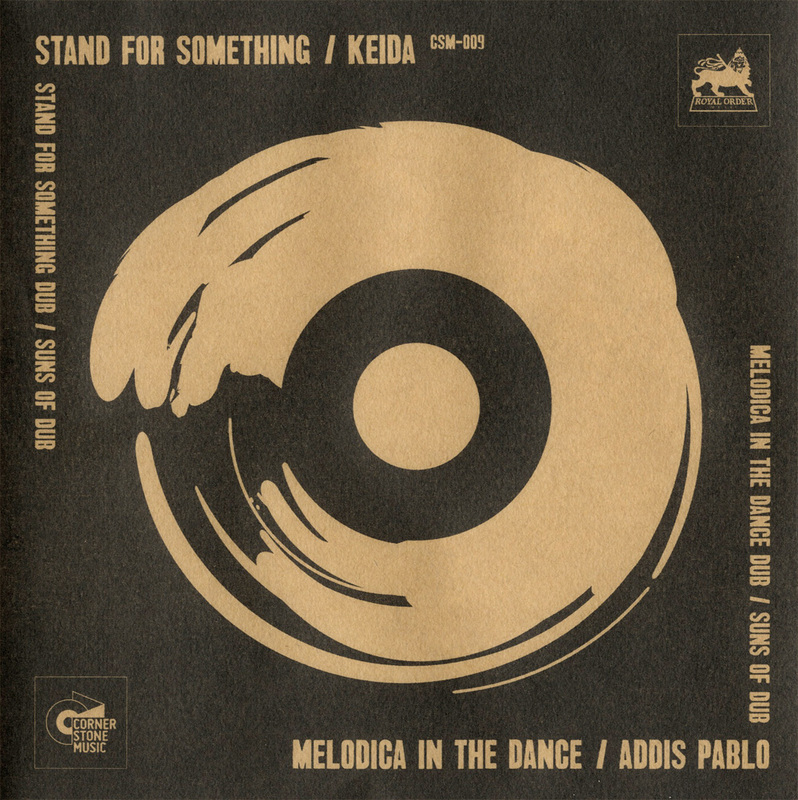 Keida's "Stand For Something" is a heavy played digital roots tune, that ranks with her former hit "Ganja Tea”. 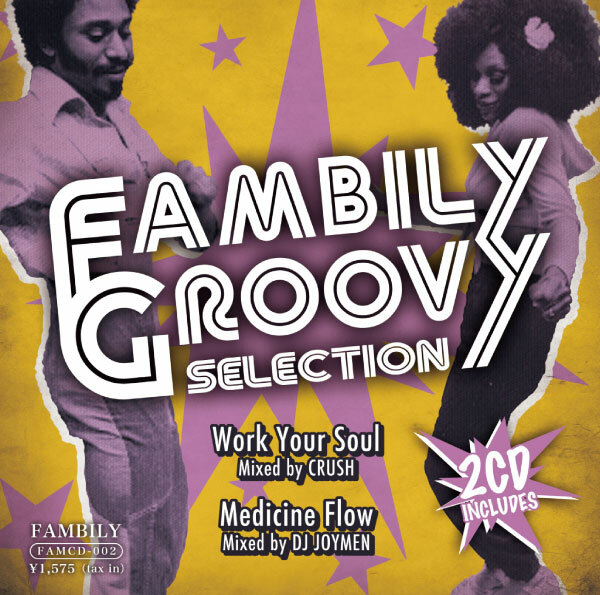 "Melodica In The Dance" is a spiritual instrumental by Addis and the rhythm tracks are on the big hit "Worries In The Dance" by Frankie Paul. Deep dub wises mixed on each B sides by Suns of Dub . Original craft jacket with a lyrics card and only 500 sets limited. [ CSM-008 ] NOW ON SALE!! 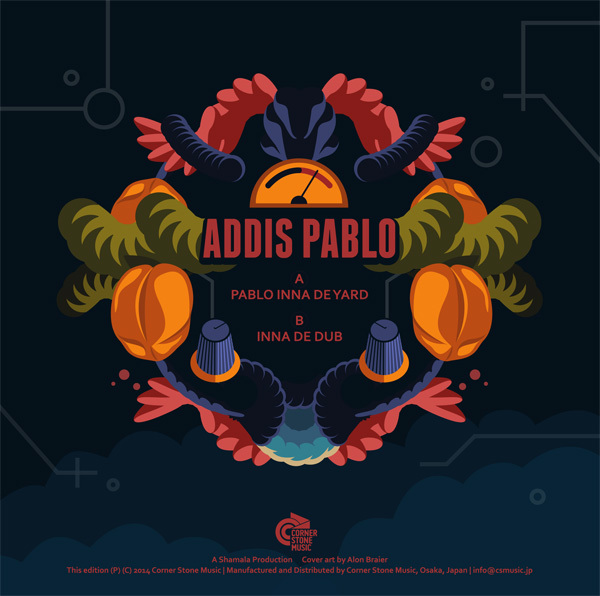 The 4th 7inch Vinyl Release from Corner Stone Music is a spiritual melodica inst [ Pablo Inna De Yard ] by Addis Pablo, the son of Augustus Pablo. This "Hit Bound" labeled tune is the same rythem of [ Steamers A Bubble ] by Jah9. 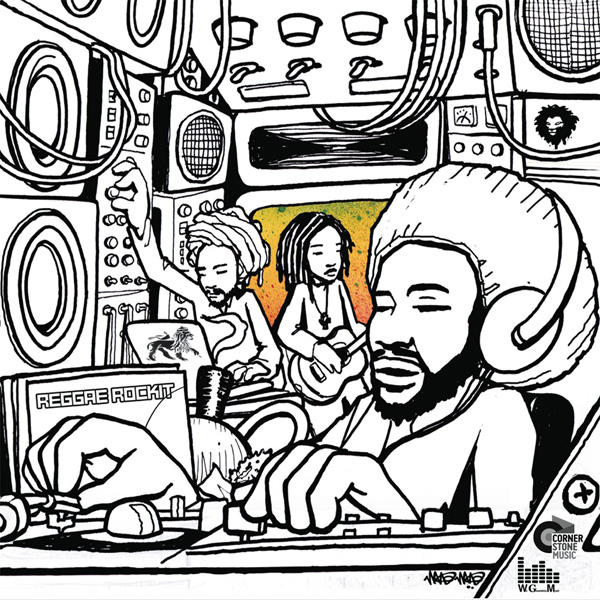 Also check [ Inna De Dub ], deep dubwise by Franklyn Irving on flip side. Fine art work on Jacket by Alon Braier, the winner of [ International Reggae Poster Contest 2012 ]. 500 copies limited edition. [ CSM-006 ] ON SALE!! 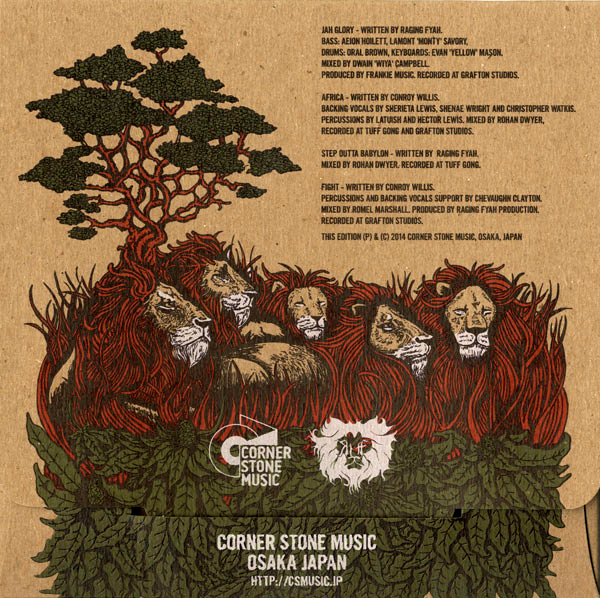 Corner Stone Music released two 7inch vinyl set vol.2 of "Raging Fyah", an jamaican authentic roots rock reggae band. 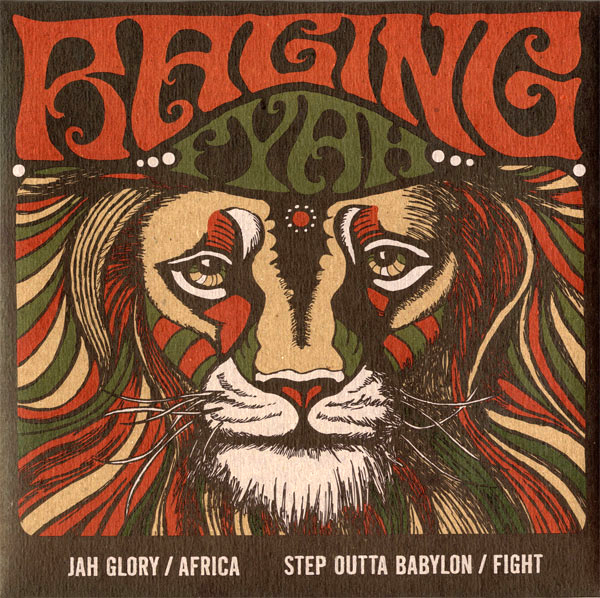 This release contains [ Jah Glory ] [ Africa ] [ Step Outta Babylon ] [ Fight ] in full length on 45rpm 7inch vinyls. these 4 tunes from their 2nd album called [ Destiny ]. with original craft box and lyrics card. [ CSM-004 ] ON SALE!! 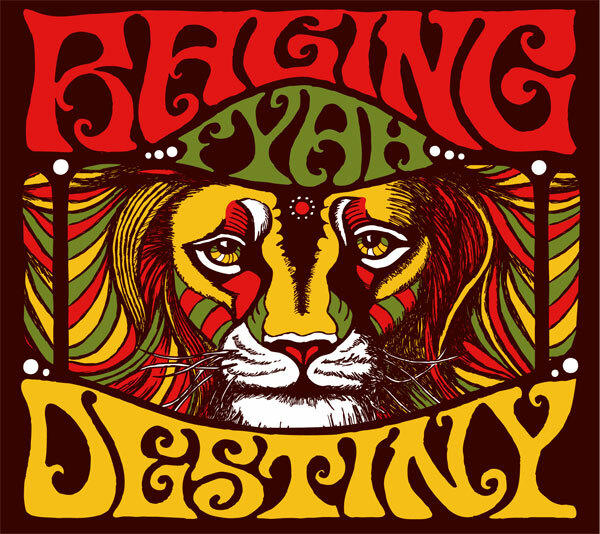 Raging Fyah, an authentic roots rock reggae band, release their new 2nd album. 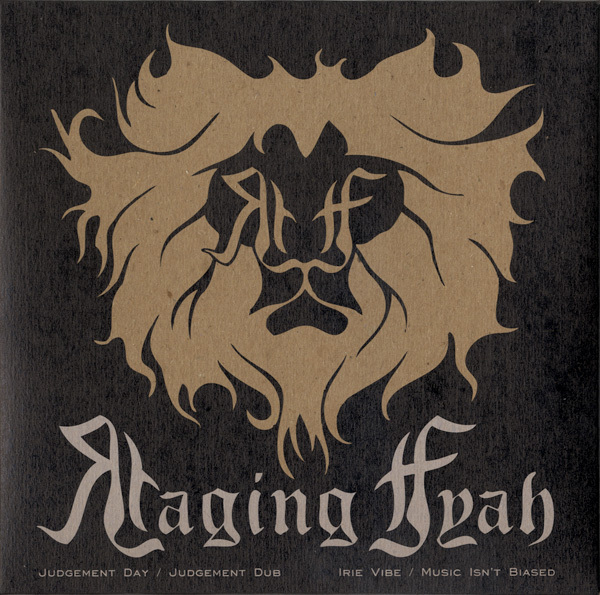 Since their first album "Judgment Day" was released, they got big fame, and performing at many big festivals over the world, including Rototom Sunsplash. 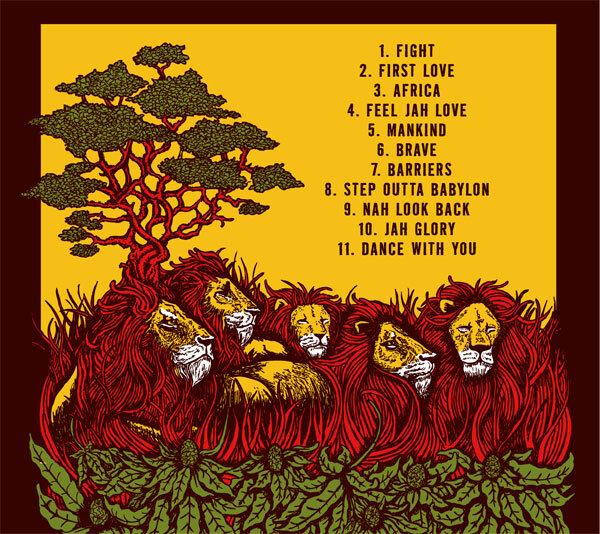 This album have great 11 songs that guiding Raging Fyah to stardom. 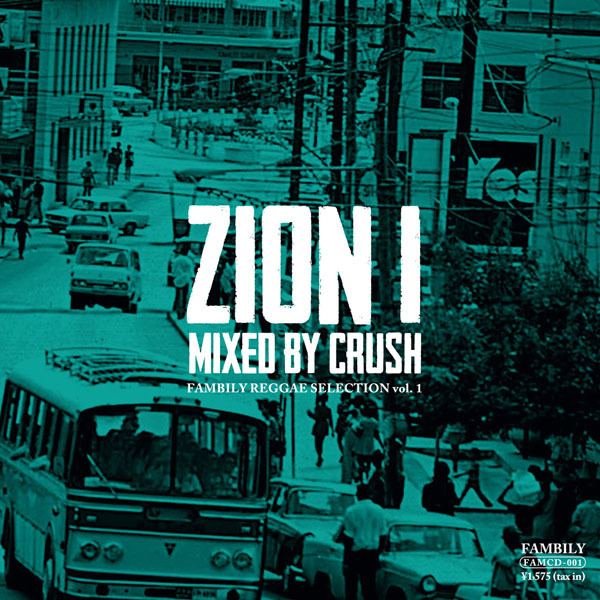 their style is mainly roots rock but in this album they also adopt lovers and dancehall style. 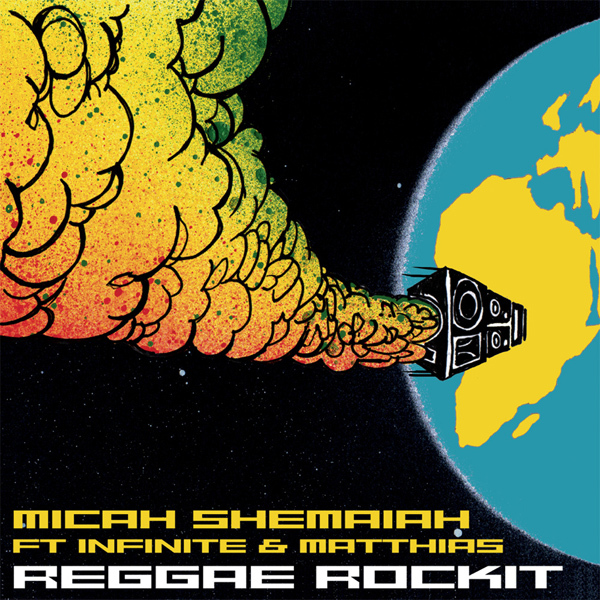 The 2nd 7inch Vinyl Release from Corner Stone Music is [ Reggae Rockit ] by Micah, Infinite & Matthias. Micah is well known by his 2013 release [ Dread at the control ]. His new tune [ Reggae Rockit ] is being played on BBC 1xtra by David Rodigan. You can feel nuff "Rockers Enegy" from this tune. 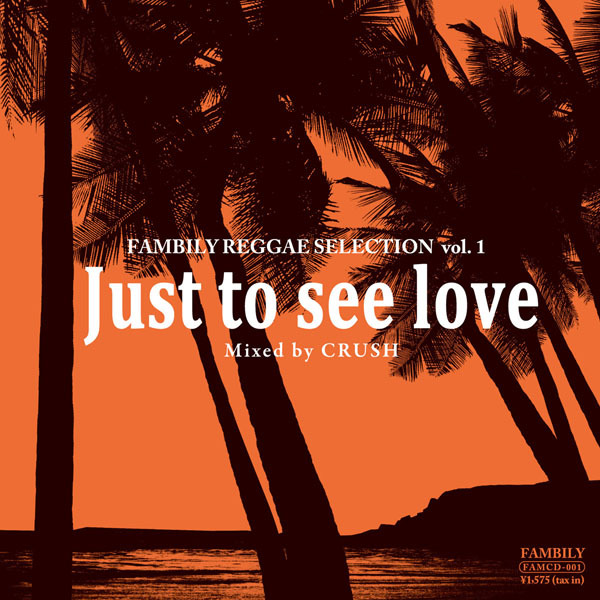 Also check [ Reggae Rockit Dubwise ] by Matthias on flip side. Fine art work on Jacket by Mau Mau. Lyric card inside. 500 copies limited edition.